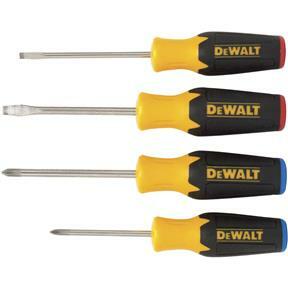 DEWALT Screwdrivers have ergonomically designed quad-lobular handle design that provides maximum tip torque. They have a slip-resistant rubber grip increases user comfort. Their precision machined and sand blasted tips grip faster securely and resists slip out. Lacquer coated bar resists rust. 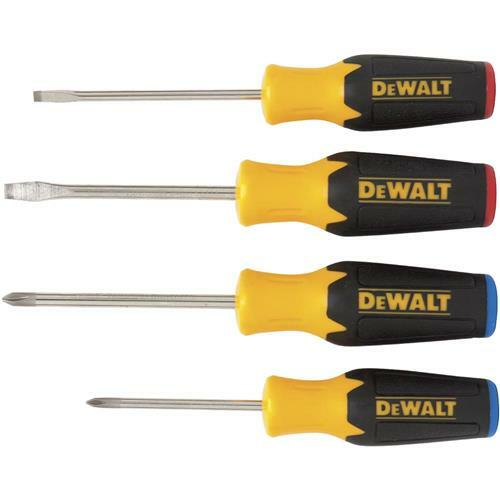 The magnetic tip holds screw securely while driving. 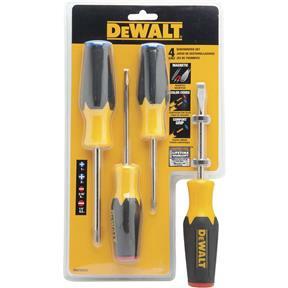 They have color-coded handles for easy selection from the tool pouch or box.